​Atletico Madrid host Girona at the Wanda Metropolitano in the second leg of the Copa del Rey fifth round on Wednesday. Diego Simeone’s side go into the game with the scores level at 1-1 on aggregate after the two sides played out a draw in the first leg at the Estadi Montilivi. 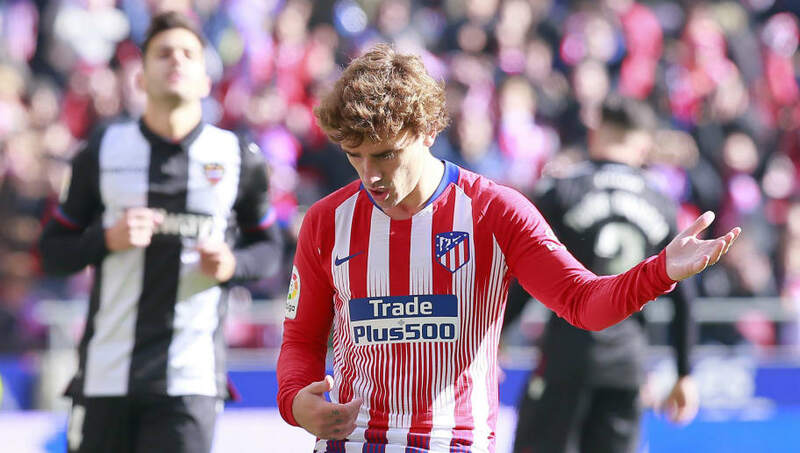 An Anthony Lozano strike for the home side just after the half an hour mark cancelled out Antoine Griezmann’s opener on that occasion, with the sides unable to be separated in the first meeting. They will do battle once more a week on from the previous encounter with Los Rojiblancos looking to secure their place in the next round of the competition, having last won the Copa del Rey in the 2012/13 season. Diego Simeone will continue to be without four high profile names for the cup tie on Wednesday, with star striker ​Diego Costa continuing his rehabilitation following foot surgery. ​Atletico will also be without both of their senior options at left back once more, as Lucas Hernandez continues to recover from a knee injury, whilst Filipe Luis remains absent with a muscular injury. The absence of Gelson Martins is a further blow to Simeone’s attacking ranks, with the winger still recovering from a nose fracture. Meanwhile, Girona face serious issues of their own in the left back position, with Johan Mojica, Aday and Carles Planas all absent for the visitors. On-loan ​Manchester City forward Patrick Roberts is also set to miss out for Girona, as the former ​Fulham attacker continues to nurse a hamstring problem. Atletico Madrid​ ​Adan; Arias, Gimenez, Godin, Saul; Koke, T. Partey, R. Hernandez, Lemar; Griezmann, Kalinic. ​Girona ​Bonunou; Alcala, Espinosa, Muniesa; Porro, Pere Pons, Garcia, Fernandez; Stuani, Lozano, Doumbia. Atletico’s 1-1 draw with Girona last time out in the first leg came as a stern reminder that the Blanquivermell are far from straightforward opposition for Simeone’s side, with Eusebio Sacristan’s side currently eight in La Liga. ⚪ @Simeone reaches 250 wins as Atleti coach! The two sides also drew by the same score line during their previous meeting in La Liga this season. A Cristhian Stuani penalty had put Girona ahead in the match on the stroke of half time, and Atletico required a late own goal from Jonas Ramalho to rescue a point. With little to separate the two sides on each of their previous two meetings, Atletico will need to impose their technical superiority over Girona to secure victory on Wednesday. Atletico are on a solid run of form under Diego Simeone, having not lost a game since their 4-0 humbling away to ​Borussia Dortmund during the Champions League group stage in October. However, Los Rojiblancos have drawn two of their previous three outings in all competitions and will know that a similar result will not be enough for them to progress to the next round of the Copa del Rey on Wednesday. Girona have proven to be testing opponents for Atletico already this season and are enjoying a strong season in La Liga. We won't get bored of hearing you play guitar, @AntoGriezmann! However, each of those previous two meetings this season were on Girona’s soil. Although it will be a tight game, a return to home comforts at the Wanda Metropolitano should provide the platform for Atletico to make their superior quality count on Wednesday.